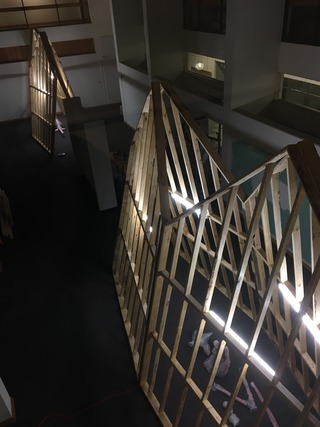 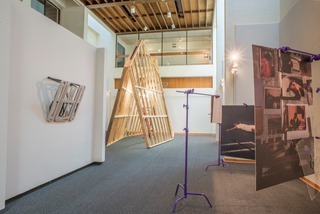 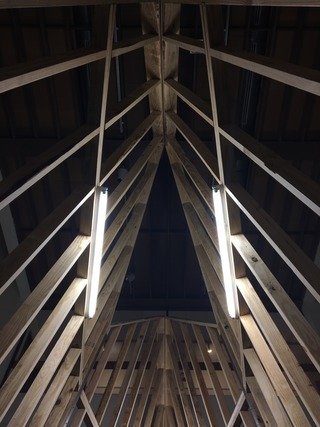 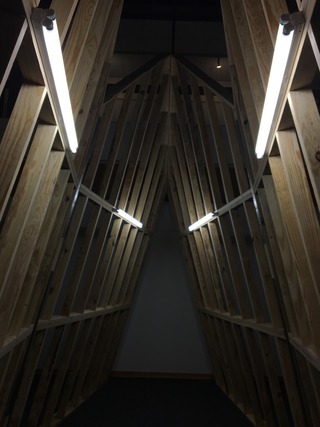 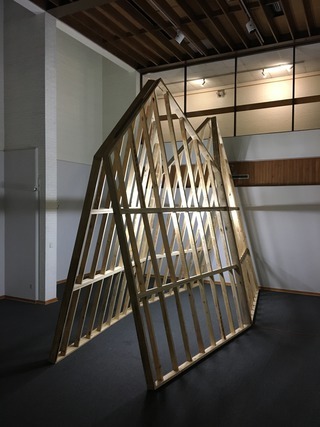 Sigh-Fi is a group exhibition that temporarily retrofits a typical gallery space into a user-altered infrastructure that manipulates relationships between architectural volume and contemporary art. 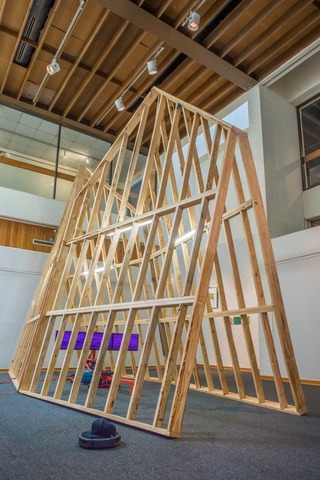 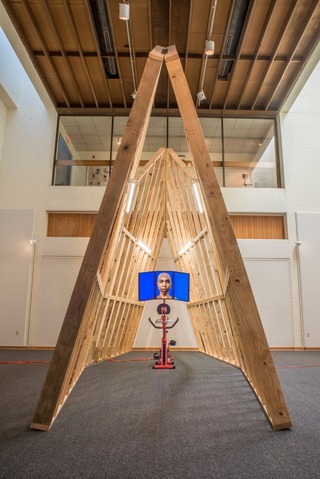 University of Arkansas commissioned two structures for unconventional display of art. 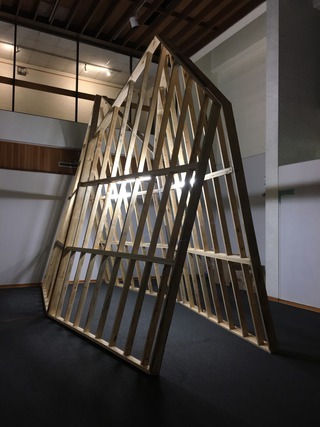 These structures are hinged and with some effort they are able to be folded into different configurations / volumes. 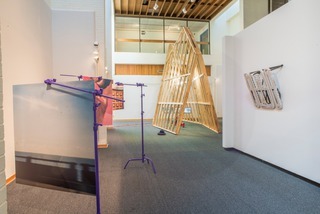 This manipulation of the architectural volume presents engagement scenarios based on whim - where gallery user now becomes a curator of space. 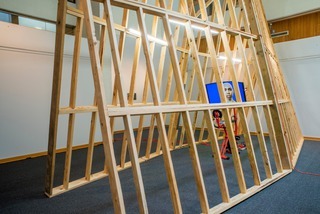 Pushing and pulling on walls becomes an operative fiction and an active collaboration in the show at full scale and at real time.